Database Systems Corp. (DSC) has been a leading provider of contact management technology since 1978. DSC products include call center phone systems and outsouring including phone messaging services that can send calls to individuals or groups. DSC phone message systems can send phone messages and announcements to commercial clients and community members alike. 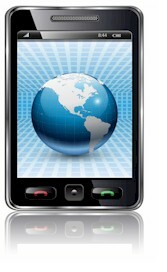 Phone messages can be computer generated from your own systems or websites and delivered to your audience using voice XML push technology. These sophisticated call blasting systems are capable of sending one call or thousands of calls. Unique messages can be sent to an individual who answers the phone or to an answering machine. Messages can be simply a notice to individuals informing them of community events, emergency alerts, appointment reminders, etc. Complex or simple scripts can be developed for touchphone responses. If required, a call can be transferred to an operator that is standing by or can be directed to an outside phone line. Contact DSC to learn more about our phone messaging systems and service. To learn how to use our voice broadcasting services, click on the Voice Broadcast Quick Tour. (Popups must be enabled on your browser). Subaru of America, Inc. is a wholly owned subsidiary of Fuji Heavy Industries Ltd. of Japan. Subaru utilizes our phone messaging services which are provided at Database Systems Corp. to update both field sales force personnel and automobile dealerships. Phone messages are sent containing information regarding product updates and promotional guidance. 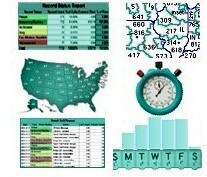 An important feature of our phone message system and service is the ability to produce online reports and graphs. The DSC voice broadcast report system helps you observe and control the performance of your outbound calling campaign using our clear and informative displays. Voice broadcast graphs and charts of operational statistics let you observe the effectiveness of each call campaign as it is running. Contact DSC for a FREE analysis and quote and to learn more about our phone messaging software services.